Wendy Powell is a native of Texas and resides in Dallas with her husband Todd, her son Charlie, and their lab Janie. She has steadily worked as a professional actress since graduating from Texas Christian University in 1993, and is an alumna of the Walt Disney World College Program. 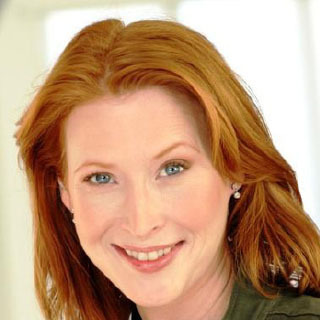 She has also worked on commercials, television, radio, print, film, industrial videos, and of course, anime voice-overs. Her other great passion is teaching; she has taught middle school theatre for 6 years, and is grateful every day for all that her students teach her about life. Wendy is best known for her work at Funimation Entertainment and Okatron 5000. Her most notable roles are Envy from Fullmetal Alchemist and Ilena from Claymore. Wendy’s list of beloved characters that she has voiced over the years range from teachers to demons, which is what she loves most about voice acting!